One of the questions I am most asked about Ebola is its potential to be transmittable through the air. CDC director Dr. Tom Frieden and other top health officials say no, but now a reputable research facility is disputing this claim. The well-known and respected Center for Infectious Disease Research and Policy (CIDRAP) at the University of Minnesota recently notified the CDC and the World Health Organization that “there is scientific and epidemiologic evidence that Ebola virus has the potential to be transmitted via infectious aerosol particles.” For the first time, they include exhaled breath in their report. CIDRAP has been involved in public health preparedness for epidemics since 2001. With regards to Ebola, they have always stated that it is unclear how the virus is transmitted, at least from an airborne standpoint. 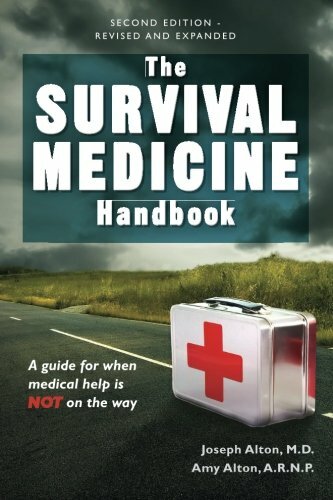 Their new stance is troubling and calls into The Survival Medicine ... Joseph Alton, Amy Alton Best Price: $58.04 Buy New $35.99 (as of 09:10 EDT - Details) question the opinions of just about every medical expert that you’ve seen in media. I’ve always felt that the issue of airborne transmission was more a question of semantics than anything else. Ebola is well known to be transmittable by inhalation. Droplets of blood, vomit, mucus, saliva, and other fluids spewed into the air by a patient and then inhaled by another can certainly transmit the virus. Therefore, ebola can be caught through the air. The question is: Can you get it by simply breathing the air in the room and airplane where an ebola patient is present. The answer is still “probably not likely”, but the CIDRAP report changes that to “probably not likely, but possible”. CIDRAP also calls into question whether N95 respirator masks are effective in preventing inhalation of airborne Ebola virus. They state: “Healthcare workers have experienced very high rates of morbidity and mortality in the past and current Ebola virus outbreaks. A facemask or surgical mask, offers no or very minimal protection from infectious aerosol particles.” They recommend instead a “powered air-purifying respirator (PAPR) with a hood or helmet”. There are problems here. Various images of healthcare workers in West Africa show poor fits on masks, and, sometimes, I even see N95 masks placed upside down. A mask that passes the “fit test” should give protection in general unless you are physically caring for active ebola cases. N100 masks would be better but are not as affordable. 1 powered air-purifying hood or helmet costs at least $427, almost as much as the average West African makes in a year. The U.S. may be able to afford this, but who in the ebola zone could obtain such protection? As such, Ebola rages on. To find out more about face masks, see my article on the subject. Better training for health workers on proper fit for masks and spending more resources on getting the appropriate gear for those in close contact with ebola patients is the answer here. Even in the U.S., National Nurses United says that most nurses receive limited education on how to deal with pandemic disease. What does this mean for the average U.S. citizen with limited financial resources? 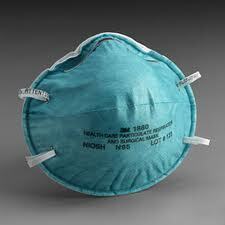 Wear two N95 masks at a time? N100 masks, which cost 15 times more? I don’t know if this would be effective; in a community-wide outbreak, however, it would be impossible to outfit the entire population with powered air-purifying hoods. One good thing: The report states that N95 masks would be still be acceptable for early stage disease, which might be enough time to get the patient to a high-risk medical facility. For West Africa, the news is more grim: Ebola will become a constant presence, eventually leading to total chaos. For those who believe travel restrictions from West Africa are cruel and unusual punishment, I say that the situation has now become more urgent. All ebola patients should be transferred to one of the 4 high-level infectious disease centers in the U.S. As well, with a second health worker who worked on the U.S. case now infected, we have no choice but to impose a travel ban from the affected countries. This, in no way, prevents us from sending medical aid TO those countries. We must step up humanitarian aid while taking serious steps to protect the health of the general public in the U.S.
Reprinted with permission from Doom and Bloom.